We know that it takes a lot of work for celebrities to always look so perfect and camera ready. Besides working out and eating right, many celebrities approach aesthetic doctors for non-invasive treatments to enhance their looks, although few are open to sharing their experiences. Debra Messing, best known for her role as Grace Adler on NBC sitcom Will & Grace, is one of the few celebrities who were upfront about getting help from the doctors for some non-invasive treatment options to look her best. She shared that she tried CoolSculpting to get rid of her stubborn fats to achieve better body contours, and told GoodHousekeeping.com that "it's incredibly important to be open about doing things to improve how you feel about yourself," and that "the myth that people walking around Hollywood were born perfect and are aging perfectly is very dangerous, especially for young girls. I'm not embarrassed at all." Being a single mom with a hectic schedule left Debra Messing little time for workouts and CoolSculpting was the solution for her to get rid of the stubborn pouch on her belly. CoolSculpting, commonly known as fat-freezing, is the only FDA-cleared, non-surgical fat-reduction treatment that uses controlled cooling to eliminate stubborn fat. Your doctor will be able to help you with your fat-reduction goals, and target specific areas where you want to eliminate fat. Controlled cooling gently and effectively targets the fat cells underneath the skin and treated fat cells are crystalized. Over time, your body naturally processes the fat and eliminates these dead cells, giving you the body contours that you wanted. The results are proven, noticeable, and lasting, and you will be glad to know that there is no downtime and you can get back to your daily life immediately after the treatment. 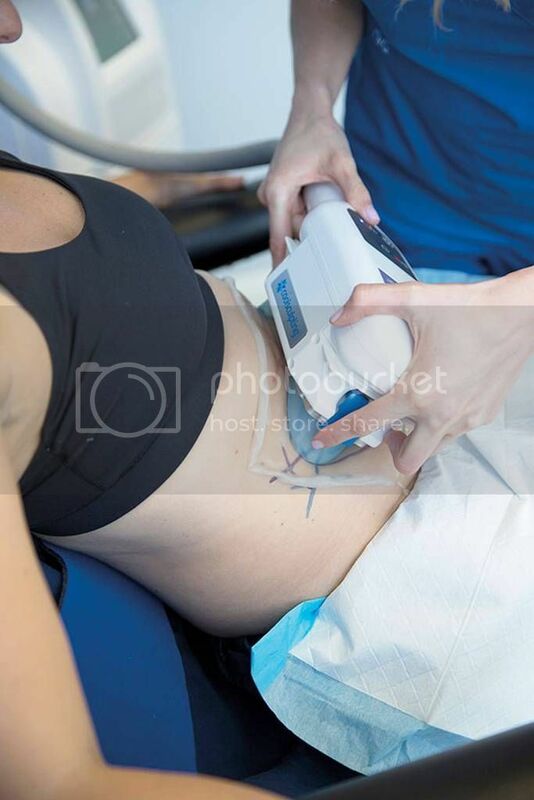 Book an appointment with Astique Clinic for a consultation for Coolsculpting, and let their team of medical professionals help you to achieve the body contours that you want. The only FDA approved targeted fat freezing treatment in Singapore!